Is Now The Time To Consider Real Estate To Round Out Your Investment Portfolio? Have you ever thought about diversifying your investment portfolio by including real estate? Real estate offers investors a tangible investment that they can actually see and feel. Now may be the perfect time to consider an investment in real estate. Interest rates remain at an all-time low. According to the Freddie Mac survey dated February 9, 2012, the 30-year fixed-rate mortgage averaged a record low of 3.87%. According to the Improving Markets Index, from First American Financial Corp. and the National Association of Home Builders, the number of improving housing markets rose to 76 from 41 in December of 2011. The median sales price of existing dwellings declined by 3.9% during 2011, returning to the level of prices last seen in 2002. There is an abundant supply of real estate including foreclosed homes and homes being sold as a “short-sale.” Many experts believe the housing market has reached or will shortly reach “the bottom” of the real estate market. Real estate investments can give the investor an inflation hedge by providing possible capital appreciation while earning rental income. 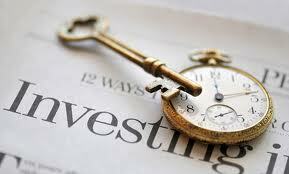 There are many options in real estate investment. Commercial buildings and multifamily buildings are what come to mind most often, but if you are a first time real estate investor, you might want to consider residential housing. It is important to discuss your options with a Real Estate Attorney. Most real estate investors establish a limited liability company or limited partnership to reduce risk in the event of a ligation. It is also extremely important for first time investors to find an experienced real estate agent who can guide them through the process. Obtaining an investment property is an entirely different experience from purchasing a primary residence. The most significance difference is when a primary home is purchased you are emotionally connected to the home. With investment purchases you are simply looking for potential properties that will yield the greatest returns. Real estate agents can assist you with finding the best investment properties by finding the most promising locations, navigating through the potential “pit-falls” of real estate investing, and assisting buyers with finding and managing a tenant after the purchase is completed.